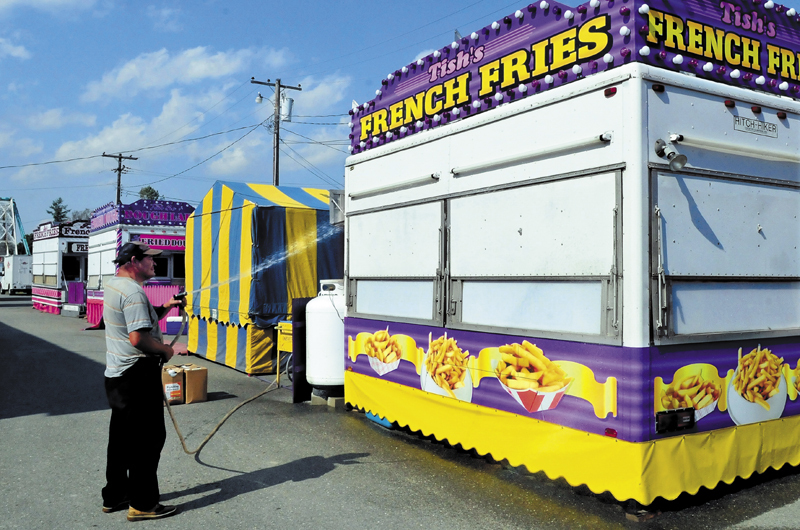 Enrique Gonzales washes down the exterior of Tish's Fries food stand at the Franklin County Fairgrounds in Farmington on Wednesday. The Farmington Fair begins this Sunday. Enrique Gonzales washes down the exterior of Tish’s Fries food stand at the Franklin County Fairgrounds in Farmington on Wednesday. The Farmington Fair begins this Sunday.